One of the great finds when visiting New South Wales is the racecourses. 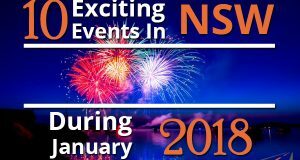 If you happen to be planning a tour in the state and you want to check out more on what these racecourses are all about then you can take note of the following choices. Whether you are out on a holiday or a leisurely weekend, you will definitely enjoy giving these places a try. 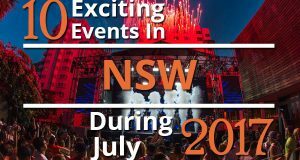 Don’t forget to hire NSW minibus charter to bring you to these racecourses. Ballina’s mesmerising beauty is simply one reason to visit this racecourse when you are in New South Wales. Add to that, however, there is another great reason to visit it. This is the fact that there are white, sandy beaches found adjacent to the racecourse. The addition of such spectacles makes the racecourse even more beautiful to race-lovers and non-race lovers alike. The reason for the fusion of two different things – the racecourse and the beach – is actually a picture of the culture of the Far North Coast region. People here love not just racing but surfing as well which explains why the Ballina Racecourse is popular both to locals and visitors alike. Also known as one of the major courses within the area, Ballina Racecourse is a home to about 200 horses which you can see working at any time of the day. You can also catch up various races and tournaments in Ballina all throughout the year. Amongst them is the very famous XXXX Ballina Cup which has been named after the racecourse. It also plays host to tournaments like the Byron Bay Cup, Boxing Day Cup and a special race attracting the greatest female jockeys from Australia, the Iris Nielsen Ladies Invitation Race. One of the greatest racecourses is located in Berrigan. It has been a home for many races since the 1890’s. Particularly situated in Cobram St in Berrigan, it plays host to three of the most popular race meetings sponsored by the Berrigan and District Race Club, the most important of which is the Berrigan Gold Cup commonly held during Victoria Derby Day. During these meetings, a carnival atmosphere is created on the race grounds to help attract more participants. Everyone is invited to gather in Marquees or in the picnic grounds to enjoy the activities held during these days. A racecourse meant for horse racing in Sydney, Canterbury Park Racecourse can be found just about 11 km away from Sydney’s Central Business District, particularly in the suburb of Canterbury. Currently operated by the Australian Turf Club, this racecourse was once managed by Sydney Turf Club which acquired it in January 1945. If you are looking for a great local community track then the Moruya Racecourse must be included in your list. Situated in Moruya, NSW, this racecourse has some of the best amenities you will need while watching a race. It is praised for its excellent service likewise to a whole lot of fun it offers to visitors. It is considered a good track for all spectators as well. If you are in for a sure race then you must visit the Newcastle Racecourse because it plays host to more than 30 races annually. This makes the racecourse one of the most significant places in the state. Amongst the most prestigious titles attracting racing participants to come and join are the Newcastle Newmarket Handicap and the Newcastle Cup. What makes the racecourse even more popular to a lot of visitors – whether they are racing themselves or they just come in for fun – is the number of horses that come to Newcastle Racecourse. Coming from different part of Australia, horse owners join in the fun to win the title and to play side by side with the best among the brood. Like Ballina Racecourse, this one is located close to the most pristine beaches in the place. It will then give you a chance to relax and enjoy after being busy with the racing. 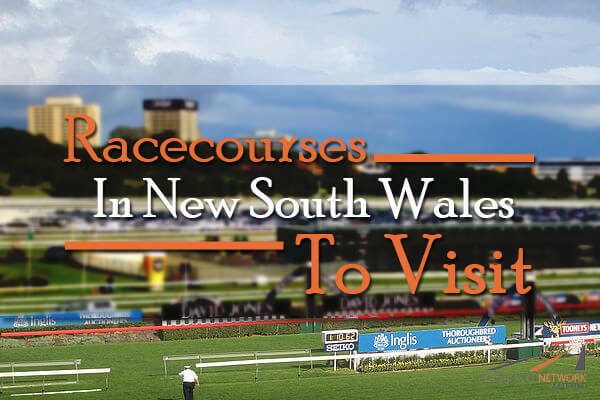 A visit to New South Wales especially for those who love the fun of racing will not be complete unless you visit its racing capital, Randwick. The place is also called the Royal Randwick thus making it one of the prides of the entire state. It is home to the many spectacles of racing plus it is one if not the most major racecourses in the place. Constructed some time in 2013, this racecourse is home to a $150 million grandstand. Getting to the Randwick Racecourse is not a lot of hassle. You can jump into a van or use the minibus charter hire in NSW to be able to get here with your friends and family. Located just about five kilometres away is Sydney Centre. Since it is the most popular racecourse in the state, expect that it also plays host to the grandest racing event in the whole of the country. It is where the Melbourne Cup is held each year. If you want to make sure you will catch up on one of the racecourses, it pays to visit the place during April when the most number of racecourses are hosted in Royal Randwick. During this month, tournaments like the Sydney Cup, Australian Derby, and Australian Oaks are being played in this racecourse. One of the few names that you must consider adding in your list of must-visit racecourses in New South Wales is Rosehill Racecourse. It is actually the regular host to the most popular racing event in the whole of Sydney, that is, the Golden Slipper Stakes. Like the Melbourne Cup which is prestigious and popular in Australia, the Golden Slipper Stakes is also famous to the entire racing community in NSW. Found in Warwick, a suburb located in the southwest part of Sydney, the Warwick Farm Racecourse is actually a racecourse meant for thoroughbred horses. Like the Canterbury Racecourse, this one is owned and operated by the Australian Turf Club. An interesting part of the racecourse’s history is when it became a camping ground for Australian, British and American armed forces.